Many Baccarat players have been trying to find an efficient way to beat the house in this popular card game. In this text, we will try to find out whether all these various tactics work. 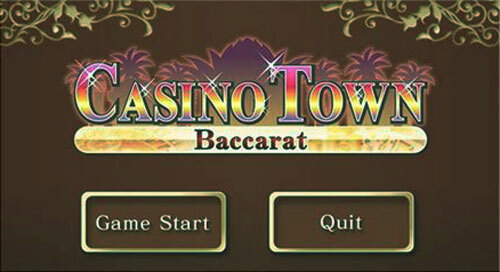 However, you should not give up on Baccarat that easily because it is an exciting and prestigious casino card game. Is There an Efficient Way to Predict a Round of Baccarat? My friend who is a devoted Baccarat player, and has been playing this intriguing casino game for years, once told me that Baccarat players are the most superstitious humans on Earth. They would use any Baccarat strategy to try and guess the outcome of the game and gain some edge over the house. I found all this futile as Baccarat game outcome depends solely on chance, and there is no way to predict the winner. Although I don’t believe in the strategies, I decided to dedicate the following text to various systems and strategies players use to get a step ahead of the game and beat the house. After all, it can only make gambling more exciting. Before I plunge into explaining the complex methods and strategies players use to try to anticipate the card combination that will appear on the Baccarat table, let’s go back to the betting options you can choose from at Baccarat. Perhaps one of them might be the most profitable for you in the long run. This option is for absolute beginners at the Baccarat game. You may be easily lured into choosing a tie bet because of the generous payout of 8:1 it offers. You shouldn’t rush it though, because before you put your chips to the field, you should think of the house edge that is around 15% for this bet. In addition, tie bet is rarely hitting the table, so you could end up sitting for hours waiting for this bet to pay off. This is a bet many players shy away from because numerous casinos take their 5% cut off the winnings. Considering how this bet has the lowest house edge of approximately 1%, consider this a ripoff. Additionally, the casinos may use this commission to deter you from betting on the banker. The banker usually wins most of the hands in Baccarat, so the gameplay may not be that exciting, and some would say that you’re playing safe. Don’t let their words get to you though, because this is the way to go if you want to win this game. Now that we straightened out the issue on betting, we can go on to various strategies people use when they are playing the game of Baccarat to try and foresee the outcome. Many gamblers think that they can apply the card counting method in this game and be successful. This is only because this strategy works well in Blackjack too, and these two games are somewhat similar. However, card counting isn’t helpful in Baccarat for several reasons. Players don’t have any power of changing the course of this game. 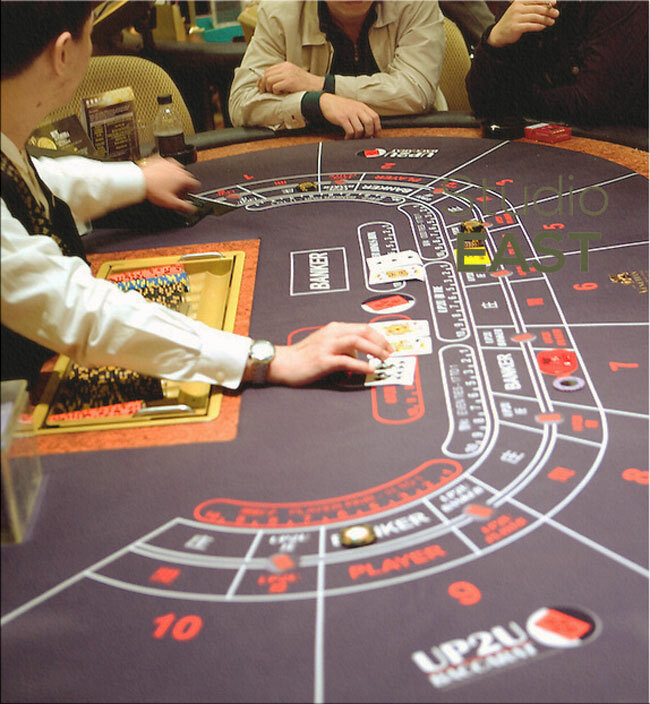 The gameplay and the outcome are determined by a set of rules, and the dealer is in charge of the entire game. There are no distinctive cards that would be helpful either to the player or the banker as it is the case with a Blackjack game. Overall you can gain some edge by card-counting in the long run, but this advantage would be insignificant and not worth the effort. There are so-called scorecards you can find at every Baccarat table in a casino. Casinos also have scoreboards where players can keep track of the winning hands in a Baccarat game. There are several different ways in which you can keep track of the game’s outcomes. In this text, I will mention the most common ones — the Big Road and the Big Eye Boy. In this method, you will mark the Banker wins and the player wins with different colours. You will use red circles for the Banker, and blue ones for the player. Each score card consists of 6 rows. You start from the upper left corner, and you go vertically. You should start a fresh column every time the winner changes. For example, let’s say you first had banker wins four times in a row, and then the streak was interrupted by two consecutive player wins. You should have a column of four red circles first, followed by two blue ones on your scorecard. If a winning streak is longer than six, then you continue in the next column — This way, you’re forming the so-called dragon tail. 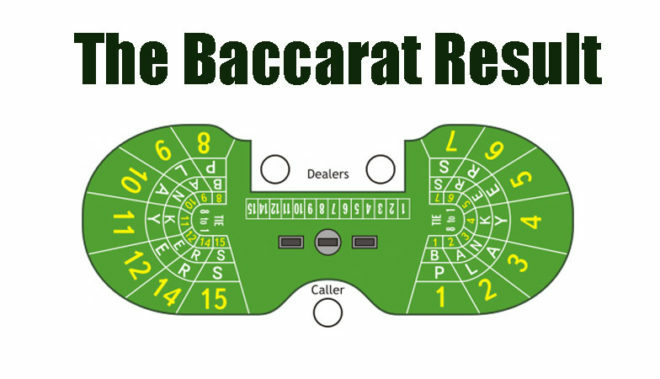 This is another pattern you can follow in keeping notes about the winning hands in Baccarat. Here, the focus is on how many times one of the betting options won in a row. You will mark repetitive wins with red while the hand that broke the winning streak will be in blue. You will start a new column each time this happens. There are also the Small Road table and the Cockroach pig, and these methods are both related to the Big Road method of recording the game history. Even though many Baccarat players believe that this meticulous and complex method will help them work out who the winner will be in the next round, it is in my opinion, totally useless and based on the old superstition that winning streaks have to end eventually. Let’s say that the banker won 5 times in a row. I’m sure that this would be a “sign” for most of the players at the table to place their bets on the player in the next round. This system is closely related to what you’ve written down on your scorecards. Simply put, the predictor system tries to help players guess the next winning hand by analyzing your scorecard. There are several basic terms you need to know before you embark on an adventure of fully understanding and applying this system in your gameplay. Vertical and single refer directly on your scorecard. If you have three or four circles in a column, they are “vertical,” while “single” obviously means a single circle in a column. The “Same bet” means that you bet on the same outcome as in the previous round, based on the records from the first line in your scoreboard. You should place this bet when the singles prevail. “Jump bet” is when you bet the opposite of the previous outcome. For example, the banker won the last hand, and you bet on the player to win the next one. You should make a jump bet when you have many verticals in your scorecard. This is the simplest introduction to this complicated system for which you will need a lot of time and effort to understand. You better start studying so you can apply this to your game. I don’t want to sound discouraging, but I would not rely on the scorecard or predictor system if I were you. Baccarat is a game of chance, and you can not foresee the combination of cards that will end up on the table in any way. So if you are a Baccarat lover. Take a seat at the Baccarat table and simply trust your gut as you bet.